Ride With Pride is Augusta County VA’s premier equestrian-based therapeutic horsemanship program. Serving its clients for over two decades, Ride With Pride spirits a supportive, community based environment for the treatment of individuals with intellectual, physical, and emotional challenges from the ages of 4 and up. 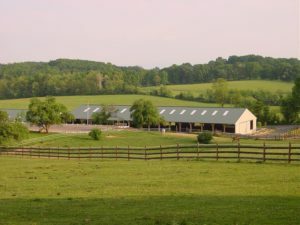 As a 501(c)(3) non-profit organization and a member of the Professional Association of Therapeutic Horsemanship International (PATH International) and the Therapeutic Riding Association of Virginia (TRAV), numerous individuals and agencies throughout the Shenandoah Valley have come to rely upon Ride With Pride’s unique therapies. Our organization provides Therapeutic Horsemanship skills in a safe, supported and social environment which assists our clients in controlling their bodies, emotions, and actions. Developing a special bond with the kind and patient horses our organization has trained allows our clients to trust and interact with the world around them. All of these skills combined will help our clients lead more fulfilled and productive lives. Ride With Pride is a non-profit organization largely made up of volunteers. We are able to provide this invaluable service to the community with the help of sponsors and charitable donations. Our mission is to serve those in Greater Augusta County and surrounding areas with physical, emotional, and developmental special needs through a wide range of therapeutic equine activities. (2019), "Ride with Pride," http://habricentral.org/resources/64746.